Rotary Sanding to the bead on a platter. The entire sanding process is easier, faster and and better when done using the hand held Rotary Sander. 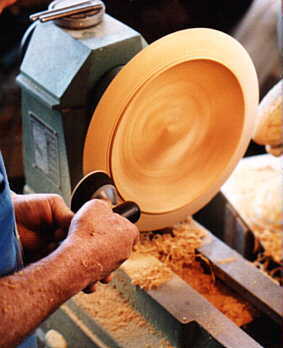 Here you can see how the sander is held during the sanding process on the outside rim of the platter. Note the left hand is under the right supporting it and helping to get a smooth, steady, even finish.